When Adidas came out with Boost technology, they looked to add the midsole material to almost all of their classic silhouettes, including the Stan Smith. While Boost was better on new models, the brand still wanted to see what their classic library would look like with a contemporary twist. Ever since Nike came out with React, their competitor to Boost, the Beaverton brand has been doing the same things as React has found its way onto a plethora of shoes. Now, it's the Presto's turn to be blessed with the React technology. 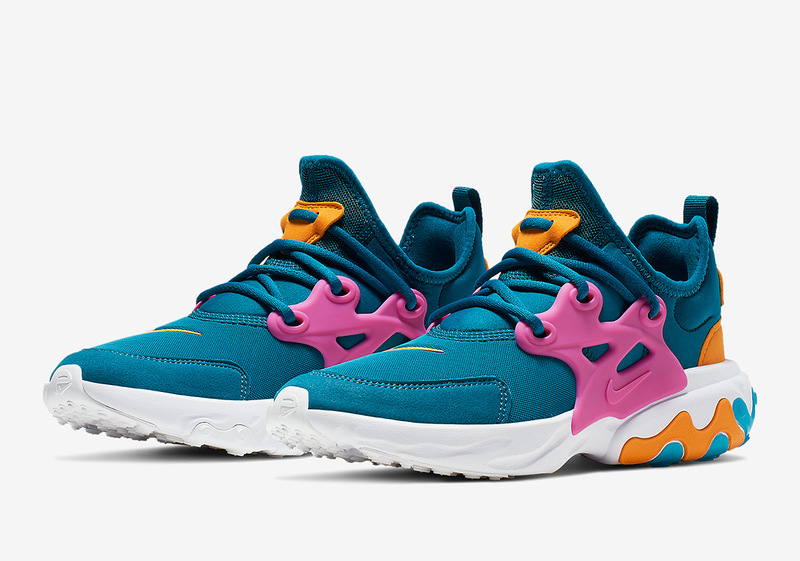 Nike is now showing off its latest sneaker, the Nike Presto React, which is set to drop in the Summer of this year. Based on the images we have so far, it appears as though the brand is going for colorful, Summer vibes. The shoe doesn't look exactly like the original Presto although many of the original elements like the side cage and silhouette are still there. The midsole on these is a little chunkier which makes sense considering React midsoles tend to be a bit bigger. So far, no price or release date has been determined, but you can expect these to drop sometime soon. Check out some of the colorways below and let us know what you think.